Aside from popular conventions in how we would transliterate words from one language into another, no corresponding practise exists for the Pahari language as spoken throughout ‘Azad’ Jammu & Kashmir. Usually Pahari expressions, phrases, and words are transliterated into English through Urdu, a separate language from the North Indian Plains. Pahari has evolved from within the social ecology of the Western Himalaya, and the words we take for granted in Pahari, and the subtle nuances that infuse their meanings, cannot be accurately conveyed through the Urdu equivalence. A good example of this is the actual word “Pahari”, (meaning, “from the hills, mountains, i.e., upland rolling terrain distinct from lowland (flat) Plains”, usually in reference but not exclusively to the Himalaya). This vocalisation is an Urdu one, for Pahari speakers of Azad Jammu & Kashmir, the word Pahári is pronounced Pári. So how did this happen and why is it important to know? The simple answer would be to say, knowing of such differences allows us to understand and appreciate the nature of power dynamics within a region, 1) as divergent languages are wrongly conflated under the same “political” labels, and 2) linguistic labels or linguistic identities are wrongly imagined through the vantage and priorities of “outsiders” for fraternities that do not exist in reality but only on paper – thereby creating imagined group identities. There are lots of reasons why this has happened, some of which are not benign or well-intentioned. Outside the political engineering of occupying forces, which happens in lots of contested parts of the world, the reasons are more innocent. In such cases, we’re talking about linguistic scenarios conveyed through the terms diglossia or, as is the case of with Pahari, triglossia. These are technical terms linguists and experts of language use when describing the use of more than one language, or dialects of the same language, by the same speakers, for a range of different purposes, socially, educationally, religiously, juridically or politically. Because of how the languages are used, people accord them different statuses; the more formal the role, the more respected the language, indirectly creating social dividends for its native speakers. Members of a group who monopolise a particular linguistic identity, may not necessarily have any social prestige on account of their own personal accomplishments, even as they are keen to maintain their linguistic status. We use a range of technical terms to understand this phenomenon. The ‘speech variety‘ reserved for official uses and formal communication in a territory is perceived as ‘prestigious’, what we would call the ‘high variety‘. The every-day language of informal communication would be considered the ‘low variety’. How linguists determine the exact status of “varieties” (dialects/languages) for the purpose of understanding linguistic fraternities (sociolinguistics) is a separate discussion from understanding the internal mechanics of a language (a distinct branch of linguistics). Again, these highly complex discussions, based on competing interpretations and research tend to become conflated with “politics”, as political actors pontificate about the identities of people on account of the exact languages or dialects they speak, or ought to speak for the purpose of their own political narratives. They propagate linguistic or ethnic arguments for what are essentially political agendas. How a language is identified by people with different priorities, described or categorised, tells us nothing definitive or conclusive about the actual language in question, or the actual identities of its speakers. 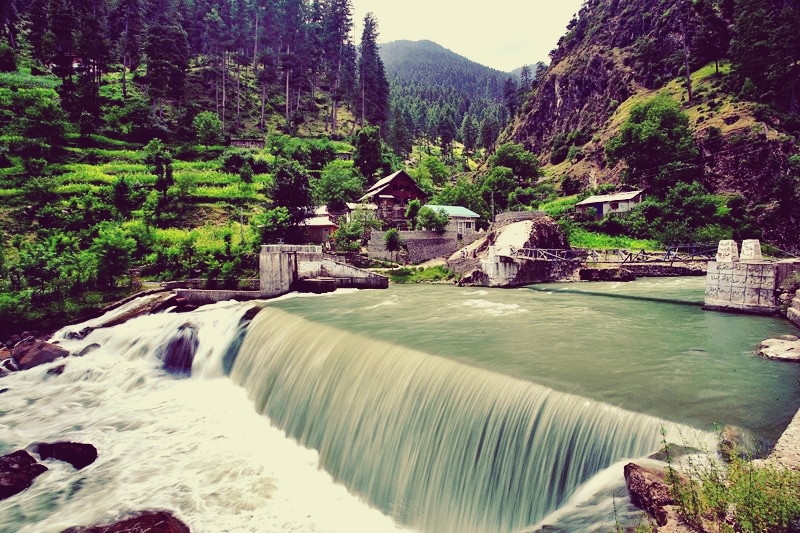 Labels imposed upon speech varieties could be very misleading, and this is especially salient when discussing the speech variety of ‘Azad’ Jammu & Kashmir, a small area of 5000 or so square miles, of 4.5 million people, who belong to the much wider Jammu & Kashmir region. Because Jammu & Kashmir is a contested territory of 85000 square miles, of 17 million diverse people, fought over by two outside powers, namely India and Pakistan, (in effect foreigners to the region), the actual identity of Jammu & Kashmir is subject to the nationalistic narratives and priorities of Indian and Pakistani ‘state actors’. The Pahari of Jammu & Kashmir is one language amongst many languages that have been traditionally indigenous to this region. In terms of its actual status, Pahari and its various dialects have been perceived as a ‘low variety’, a fate that has been reserved for all the other languages too. 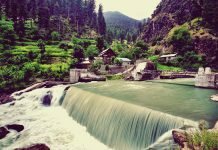 For this reason, educated natives of the language in ‘Azad’ Jammu & Kashmir prefer to conduct their official business and formal undertakings in Urdu, even as Urdu offers nothing practically to Paharis, socially, educationally, economically or even politically where real dividends are sought for ordinary people. In fact when compared to English, a global language spoken by the elites of Pakistan whose children are educated in this language but not Urdu, Urdu is seen as a low-variety compared to English, which offers practical benefits to its speakers outside the socially regressive environment of Pakistan with its internationally attested culture of neo-patrimonialism and corruption. The prestige of linguistic speakers is thus relative, fluid but ultimately connected with power dynamics that advantage or disadvantage certain languages. Low varieties wherever they are spoken in the world are always placed at a significant disadvantage due to no fault of their own. They are not afforded the same patronage and cultivation that is ordinarily reserved for the ‘high’ variety, creating disparity between the fortunes of individual languages. Linguists recognise this to be unjust and unfair to thousands of ‘low varieties’ across the world. A lot of language prejudice is borne out of such inequalities, as individuals with little grounding in linguistic or sociolinguistic realities, posture through their linguistic identities, demeaning those who speak low-varieties natively. One can see this language prejudice on social media today, as unaccomplished speakers of languages posture through their imagined “status” as they demean and disparage speakers of low varieties. There is an important point here, a ‘low variety’ is not a ‘lessor-language’. It should not be subjected to derision, not least on account of those who natively speak it. All languages whether they have written scripts or extensive literatures perform the same function to facilitate communication between people. How a language accrues its ‘low’ or ‘high’ variety status is on account of a complex history connected with power-dynamics which I hope to discuss in other posts. It has absolutely nothing to do with the intrinsic worth of a language or the people who speak it, often themselves from humble backgrounds, their forebears having adopted the high variety whilst discarding their native tongues. People who insist that certain languages or dialects are better than others are incredibly ignorant of centuries of linguistic research. 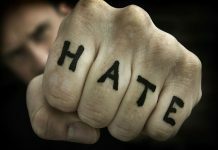 Their language prejudices tell us a lot about their attitudes and worldview, as opposed to the people they ‘stigmatise’. In ‘Azad’ Jammu & Kashmir, ethnic Paharis have been generally accustomed to being multilingual on account of their ‘mother tongue’ not being the language of official communication, education and media. They have traditionally preferred speaking the official language of statecraft. This is now changing, albeit gradually, as Paharis from the diaspora, particular in the UK with roots to old Mirpur Division of Jammu & Kashmir, are showing a strong inclination to celebrate their actual culture, and ancestral language. They would like to preserve their language and protect it from going extinct. All languages are dialects by definition. They are related to other dialects sometimes spoken across large distances, separated by thousands of miles. Every human language on earth is related. And yet most dialects will become extinct because native speakers stop speaking them. Why some dialects receive patronage, whilst others are left at the wayside is therefore not unique to Paharis. Diglossia is an almost universal norm across the world. In what is today Azad Jammu & Kashmir, diglossia has obtained for many generations. In previous centuries if not for almost a thousand years, the lingua franca (a common language adopted by speakers of different languages to communicate with one another) was Persian. Persian has greatly influenced the morphology, syntax and the everyday vocabulary of Pahari, enriching the language extensively. Similarly, many Indic or Indo-Aryan languages spoken on the Indo-Gangetic Plains of India, a separate region from the Western Himalaya, have been influenced by Persian on account of this history. But, aside from the fact that diglossia has crippled the chances of Pahari being cultivated for writing in both modern and pre-modern times, this does not mean that the predecessor to Pahari was afforded the same fate. Old Pahari, without making allusions to developmental or periodic stages of this evolving language, spoken in ‘Gandhara’ in an area conterminous with the Pahari-cultural-sphere was cultivated and used for writing. In ancient times, Gandhara (1200 BCE – 800 CE) was an affluent region that benefited immeasurably from its frontier location between India and Central and West Asia. This particular language of the ordinary natives was written down for commercial reasons; traders wanted to record their transactions and commercial agreements with their ‘international’ partners in this language. Gandharan traders were celebrated for their personal integrity in business and otherwise good moral conduct. As time progressed, the language was transported across huge distances as the silk road opened up new opportunities. Buddhist monks travelled the same paths to proselytise their religion, as the natives of these areas sojourned in Gandhara to learn the new faith. Old Pahari was also used in the ancient universities of Taxila and Neelum, a buddhist area that had been closely connected with the Gandharan heritage. We think of this language, the forerunner to modern-day Pahari as a ‘Prakrit’ which simply meant the ordinary, or non-polished language of “locals” as distinct from ‘Sanskrit’, the embellished language used by Brahman priests. This is not to say that the ancient Pahari ‘Prakrit’ was not refined or cultivated for writing purposes, or the production of highbrow literature, but merely to distinguish it from the sacred language of the Vedic Canon. The forbears to our modern-day Paharis in the lands we take for granted as Jammu & Kashmir were in fact mostly Buddhists and not Hindus as many wrongly imagine, and this state of affairs obtained for more than a thousand years until the advent of Islam around the turn of 11th century CE. The Buddhists of this region did not share the anxieties or prejudices of their Brahman “Hindu” counterparts on the India-Gangetic Plains and were more egalitarian in how they interacted with their own native population. They were more socially enlightened than their Brahman counterparts in North India, when we appraise modern values of human rights. The fortunes of modern-day Pahari have massively waned from the success of its earlier predecessor. There have, however, been sporadic attempts to develop a standard script by Pahari speakers but these generally have had limited impact on changing the fortunes of the language. No attempts have been made by either the Pakistan government to preserve the language. In the Pothohar Uplands, where the ‘Patwari’ dialect is spoken, a separate dialect related to Pahari, studies have shown that this variety is ‘endangered’ and will eventually become extinct within a couple of generations. Many Patwaris are consciously adopting ‘Urdu’ and are ashamed of speaking Pothwari, contributing their own death-blows to the language of their forbears by abandoning it. 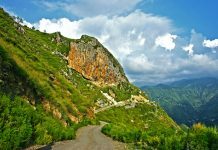 Fortunately for Pahari dialects spoken across the border in ‘Azad’ Jammu & Kashmir, wrongfully conflated with Pothwari for the purposes of occupation-politics, mostly in areas around Mirpur, they are thriving and language activists here are cultivating a shared Pahari literary-standard by writing stories, poems, dramas. They are proudly using the language in their media productions. These language activists do not suffer from the same anxieties on display in the Pothohar Uplands with whom they are increasingly becoming distant and separated given their strong desire to preserve their identity in Azad Jammu & Kashmir. Today’s lingua franca in all of Pakistan and Azad Jammu & Kashmir is Urdu. The imposition of Urdu on the native peoples of Pakistan has become a cancer for the indigenous languages of the wider area, not least because Urdu is connected with a political hegemony that is gradually destroying the original character of Pakistan’s indigenous cultures. When we criticise this state of affairs, we are not criticising the Hindi-Urdu language with roots in North India. 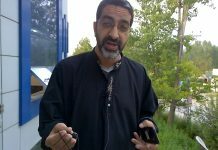 Hindi-Urdu is a beautiful language in its own right, but the policies of unenlightened people who seek to create artificial fault lines between diverse ethnic peoples to further their interest group’s political priorities are doing a disservice to the language itself and its native speakers. Pakistan’s hegemonic forces demand that everyone speaks Urdu at the expense of their own native tongues, creating a culture where the indigenous peoples of Pakistan are demeaned on account of remaining true to their cultural heritage. Not even the memories of their parents and grandparents are spared, as people are made to feel ashamed of their past all the while the architects of this inequality reserve English for themselves. In doing so, they reimagine their past as they promote origin myths about the Urdu language, now disconnected from its actual history as Hindvi. The actual word ‘Urdu’ is of Turkish origin and is derived from the ‘Indic’ phrase ‘Zuban-e-Urdu-Mu’alla‘, which translates in to, “the language of the military camp”. Reference to this phrase can be found in Muslim texts from around the middle of the 12th century CE. Other phrases were used to describe the language, but over time, they were gradually dropped and the ‘Urdu’ word became a metonym for a dialect that was being cultivated for writing and locally-produced literature around the turn of the 1700s. This emerging language’s written corpus cannot be dated earlier. The natives who spoke this language referred to it as Hindi, or used variations of the term, Hindvi, Hindustani etc. With the emergence of British Colonialism in the subcontinent, they sought to document and codify the languages they encountered. In respect of Hindi or Hindustani, it was British colonial linguists who started the practise of calling this language “Urdu” as a means of trying to locate the language in some distant ‘Muslim’ past. In doing so, new attitudes formed around the language, even as it was the British who wrote Urdu’s first grammar books to give some insight into this actual history. Urdu is essentially ‘Hindi’, an Indian language with a huge smattering of Persian/Arabic words. It is for this reason that linguists prefer to describe the language as Hindi-Urdu linguistically as opposed to Urdu or Hindi sociolinguistically. Its roots are in North India, around the area of Delhi, but varieties of this language were also cultivated in Lucknow and on the Deccan Plateau. Ironically, it was not the native language of the Mughals, who were very keen to speak Persian, the official language of their court and numerous ‘Indian’ regional courts, but the language of ordinary and well-to-do North ‘Indians’. Erroneously, many Pakistanis, or those with highfalutin attitudes towards the Urdu language wrongly ascribe historical importance to the language through imaginary Mughal connections which Hindi clearly lacked. They are making allusions to a past that they are imagining, possibly on account of how Pakistan’s Muslim past is constructed ideologically as the successor State to Muslim India’s past. If there was any shred of historical truth to their claims, they would be speaking Persian without having the need to also speak English, the colonial language, as proof of their social class. In fact, the only reason why Urdu assumed an ‘official’ position in the first place, outside the patronage of individual patrons, was because the British promoted the language to statecraft. In a bid to demote ‘Persian’, now deemed the language of India’s ‘foreign’ Muslims, colonial officers wanted to adopt a ‘native’ Indian language which could be used in official capacities by ‘native’ Indians, transitioning from their native tongues to Urdu. This policy was then adopted by a number of British Indian Provinces and Princely States including the Princely State of Jammu & Kashmir. For those adopting Hindi-Urdu, as a distinct language from Bengali or Sindhi, even in areas that had no connections with the dialect, a number of cleavages emerged as Muslims were keen to use the language with a Persian-derived-Arabic script whilst Hindus insisted on using a ‘native’ ‘Indian’ script. The identity of the language was then fought over as it became a political football between Hindus and Muslims. Gradually, self-affirming Hindus, rallying against India’s Muslim past expunged the old Hindi language of its original Persian-Arabic vocabulary replacing ‘Persian’ words with ‘Sanskrit’ derived words in a bid to make the language more ‘authentic’. Self-affirming Muslims did the complete opposite, relying almost entirely on Persian-Arabic words for the language’s higher lexicon in a bid to make the language sound more ‘Muslim’, more ‘foreign’ to India. Eventually, the evolving varieties of Hindi and Urdu were artificially ‘engineered’, a stark contrast to how the earlier but shared dialect naturally evolved. Today as speakers of these two distinct lexicons speak their respective dialects, mutual-intelligibility becomes greatly hampered when they resort to their respective variety’s higher lexicon. Once Pakistan came into existence, and Urdu was legislated as the official language of the new country, new fault-lines emerged. The attitudes of Urdu speakers did not help, as they began to denigrate speakers of other languages, languages and dialects that had been native to the lands of East and West Pakistan for centuries. They looked down at the Bengalis and exploited them. They opined that the Bengali language and its use of its ‘Indian’ script was not sufficiently Muslim in character. They demanded that the Bengalis use ‘Urdu’ and not their native tongue, an indigenous language that was much older than ‘Urdu’ with an even more extensive literature. It was from this cleavage, that the Bengali independence movement finds its first seeds, not as an independent movement but a movement to protect the ‘Bengali’ language. Astute social commentators in Pakistan have observed the fault-lines caused by the State’s imposed language policy and the attitudes it creates. They have even observed the hypocrisy of the ‘elite’ that insists that every Pakistani learn Urdu for the purposes of national cohesion, as they educate their children in English. 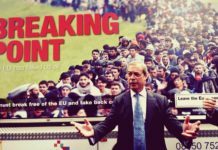 They argue that this policy will stop the country from imploding given its huge ethnic diversity. The irony of this position couldn’t be more poetic, not least because, it is this ‘social class’ that benefits directly from denying the indigenous ethnic groups of Pakistan the right to preserve and enjoy their culture whilst personally availing themselves of opportunities by ’employing’ their native tongue in official capacities. The Urdu-language policy disconnects local people from state patronage. It guarantees a small class of Urdu speakers government jobs all the while they maintain their grip on the country as privileged ‘English’ speakers conducting the affairs of the country in English, a reality denied to the majority of the population, who are encouraged to learn ‘Urdu’ to compete for even scarcer resources in Pakistan. Pakistan’s education system is two-tiered, one designed for the elite where the language of instruction is English, and the other, designed for the masses, where the language of instruction is ‘Urdu’. The elites pay for private education, rely on the old school network set up by the outgoing colonial administrators, and oftentimes send their children abroad. The poor have to rely on poorly financed government schools, and if you understand how tiny budgets are allocated between Pakistan’s impoverished Ministries to cater for nearly 210 million people, you’d realise that the poor always got the short end of the stick. In their minds, to get ahead in Pakistan, ordinary Pakistanis think they must deny their ethnic heritage whilst adopting ‘Urdu’, a language that has no native constituency in any of the indigenous lands of Pakistan. They then confuse Urdu with an even older Islamic heritage courtesy of the Pakistan Project that fabricates its own history to the chagrin of professional historians across the world. As British-Paharis we should have no qualms with speaking Urdu. It is a beautiful language that should be accorded respect as we accord respect to all languages. We do not make fun of other people’s native languages. We are not ignorant bigots. But, we must accept that Urdu is not our native tongue, English is, as we were born and raised in Britain, even as we think in the English language. According to linguists, the language you dream in, i.e, think in, is your ‘mother tongue’. As for Pahari, it is our ancestral language and we must protect and preserve it, as it connects us with the memories and life stories of our forebears, their cultural past and region in Azad Jammu & Kashmir. We are not invested in Urdu in the way Pakistani nationals are as they seek fraternity amongst themselves. So what does the word ‘Pahari’ mean? As I explained in the introduction, when Paharis transliterate Pahari words into a modified Perso-Arabic script (‘nastaliq’) for the purpose of giving expression to their language, they resort to Urdu conventions of spelling, which distort the pronunciation of the original Pahari words. Without an established and agreed standard script, this is difficult to avoid, but we should be aware of such conventions. 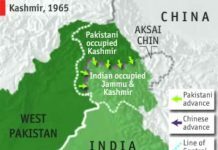 Also, the term Pahari for the purpose of our discussion is being used ethno-linguistically for the nationals of Azad Jammu & Kashmir, an ethnic group that resides on both sides of the Line of Control (de facto border) that separates Indian/Pakistan-administered-Kashmir. In its original connotations, it refers to geography and typography, but not ethnicity by way of an ascribed ethnic identity. 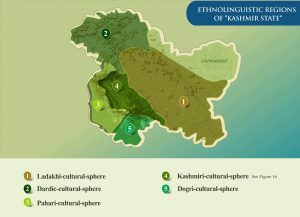 Some colonial linguists used it for a particular branch of Indo-Aryan languages, even as they categorised the Pahari spoken in Jammu & Kashmir as “Chibhali” and subsumed it within a distinct language branch called “North Lahndi”, a separate and distinct language from Panjabi or Hindi-Urdu. The word ‘Pahari’ is connected with the word ‘Pahar’, which of the two is a derivation of the other is not clear and can be difficult to ascertain for all sorts of reasons not worth discussing here. That said the word ‘Pahari’ is categorised as an adjective and literally translates to ‘being of, or belonging to the hills and mountains; hilly, mountainous.’ The English distinction between hills and mountains has no equivalence in any of the Indo-Aryan languages, and this also applies to the ‘Pahari’ language. The upland terrain of the Pahari homeland is remarkably uniform and stands in stark contrast with the lowland plains of neighbouring regions most notably the Punjab Plains. For obvious reasons, Pahari also implies an inhabitant of the ‘upland, hilly or mountainous region’, as in ‘hillman’, ‘mountaineer’, ‘uplander’. The word ‘Pahar’ on the other hand is categorised as singular masculine and translates to ‘mountain, hill’ or any environment that is ‘mountain-like, hill-like’, which in the typographical sense means ‘rocky, steep or undulating’ in the sense of an ‘undulating countryside’. Linguistic derivations from the root-word that ‘Pahar’ originates also include the words ‘pára’, (adj., ‘heavy’), ‘pár’ (n., ‘load’, ‘weight’), ‘phárrna’ (vb.,‘to rip, to tear to pieces’), ‘pár’ (adv., ‘over there’, ‘on the opposite side’). The physical characteristics of the Pahari region has clearly impacted these derivations. To contextualise these derivations metaphorically within the context of the landscape, they capture wonderfully extra-territorial, but popular nuances that cohere in the related words. The Pahar region is thenceforth seen as an ecology that is ‘hard, rugged, broken, uneven country’ that produces ‘rugged, strong people’ especially in the sense of a community of uplanders possessing strong physical constitutions. Historical accounts of the “hillmen” who lived in the region bear out these descriptions. Understandably, these extra-territorial nuances can and do produce both positive and negative connotations and oftentimes lead to stereotypical representations. For instance, Pahari women are considered attractive whilst the men are seen to possess sturdy constitutions. Collectively, the population is considered ‘simpleton’. These are crude stereotypes borne of prejudice and bias for an incredibly diverse population, and are the anxieties of outsiders, and not the natives of the region. Although this has not stopped some upwardly-mobile Paharis internalising such anxieties. Turning to the etymology of the words ‘Pahar’/‘Pahari’, we learn that they are of Indo-Aryan origin with cognates, or words that originate from the same linguistic source in other related languages including ‘Panjabi’ (MSP) and its various dialects, ‘Dogri’, a speech variety akin to ‘Pahari’ in debates about its exact status but generally accorded independent language status. In classical Sanskrit, which is closely connected and contemporaneous with the linguistic forerunner to Pahari, (‘Prakrit’ spoken across the ancient Gandharan region, or Middle Indo-Aryan, 600 BCE – 1000 CE), we learn of the cognates ‘párvata’, ‘being in or growing on or coming from or consisting of mountains; mountainous, hilly’; ‘párvatika’, ‘a multitude of mountains, mountain-range’; ‘párvatíya’, ‘living or dwelling in the mountains; mountainous; a mountaineer’; and ‘Párvatí’, ‘a mountain stream’, ‘a kind of fragrant earth’; personal name of the God ‘Shiva’s’ wife (as daughter of Hima-vat, the personification of the Himalayas, King of the snowy mountains). It should not come as a surprise to then learn that these meanings underpin usages in a host of languages that have all descended from Indo-Aryan, the parent language of all north Indian languages. The cultural ecology of these languages include vast upland terrains, hilly and mountainous areas that stretch for vast distances right through the North West regions of the subcontinent to its North East regions. This long belt of terrain (that includes the Siwalik Hill Regions) is conterminous with the foothills of the great mountain complex of the Himalayas. And so in popular usage, the term Pahari can and has been used by any number of unrelated Indo-Aryan peoples more often in a colloquial fashion to describe the ‘ecology, culture and language’ of communities living on hills or mountains. 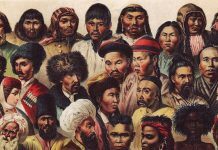 Some of these unrelated ethnic groups have also used the term as a self-ascription although its usage can vary greatly in application from the vantage of those using it to describe others from within their own cultural-spheres. In other words, whether “X” are Paharis from the vantage of “Y”, “Y” may feel that “Z” are actually more Pahari than themselves, creating a highly malleable and fluid situation where the term is passed around with no definitively ascribed communities. Historically, these communities self-ascribed on the basis of their tribal (caste/clan based) identities, a norm that was quite common throughout the world prior to the advent of nation states post 1800 CE. Regional designations did exist and people were identified on the basis of the regions they hailed from, whether as independent polities or polities controlled by an Empire located elsewhere. However throughout these periods in history, these regional designations did not form the basis of identities we take for granted today especially ‘nation state’ or ‘nationalistic’ identities.